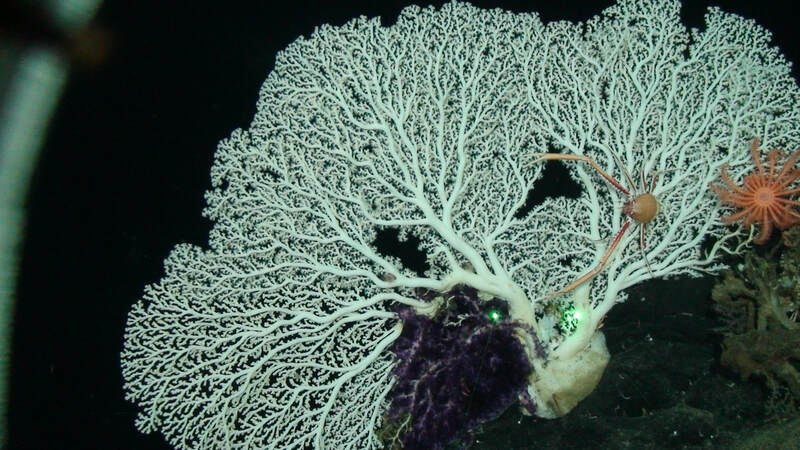 Not all sea fans are flexible enough to bend in the currents. 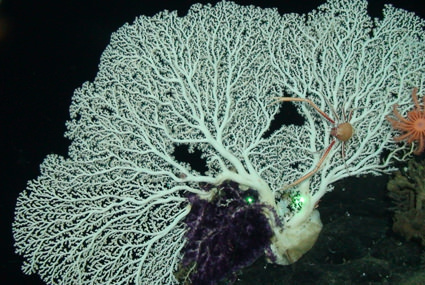 This precious coral Corallium species has a rigid calcitic skeleton like stony corals. The sea fans are referred to as precious corals because they are harvested for the jewelry trade in some parts of the world. This particular colony is from 750 meters depth in Roatan, Honduras. The green laser points in the lower center are 10 cm apart.